A total of 10 times and not once was she a comparison to any. 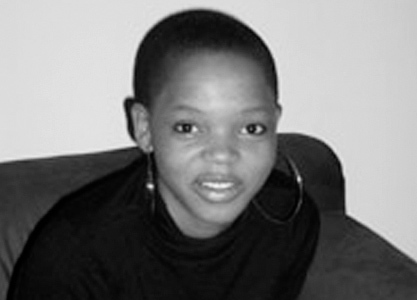 Pam Dlungwana is a transplant Capetonian by way of Durban, South Africa. She spends much of her time behind pink rimmed glasses, tea colored pages and when spoken to speaks of herself in the third person, always. A television writer/researcher and producer she expresses her Swiss cheese opinion best in poetry and has collaborated with visual artists using the media to educate, liberate and incite. Pam has published in online journals (Poetry Potion, Itch and her wordpress blog) and has used Facebook as her personal bulletin board, screaming her politic, annoyances and passion through verse in the notes section.